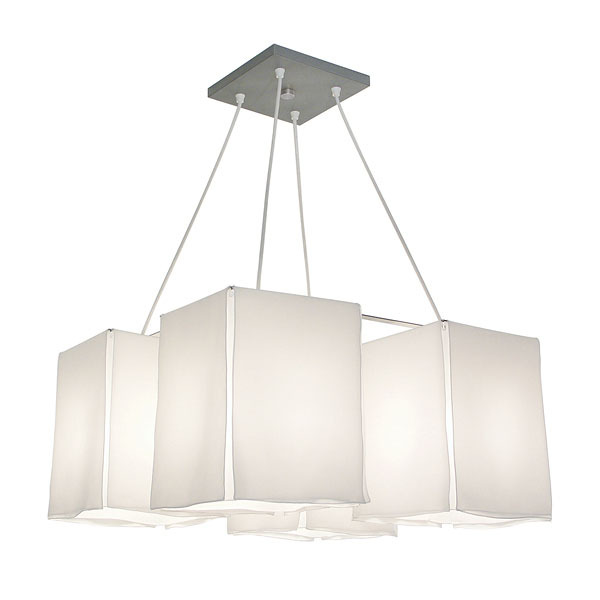 The four silk paneled diffusers on this chandelier float in the air like lazy summer clouds. When evening comes, the bulbs give adequate light while the silk shades diffuse and soften the light. This fixture is hardwired. Dimensions: Width: 26" - Length: 26" - Overall Height: 30"